This jasper comes from the Owyhee mountain area on the Idaho-Oregon border. 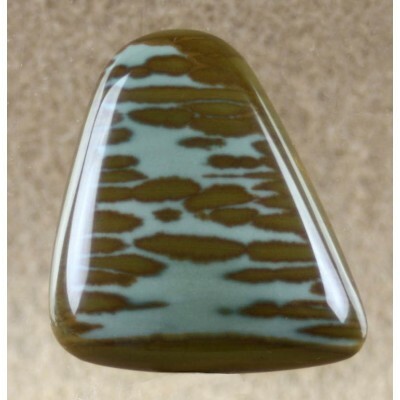 This cabochon has nice brown stripes on a blue green background. The back is not polished. 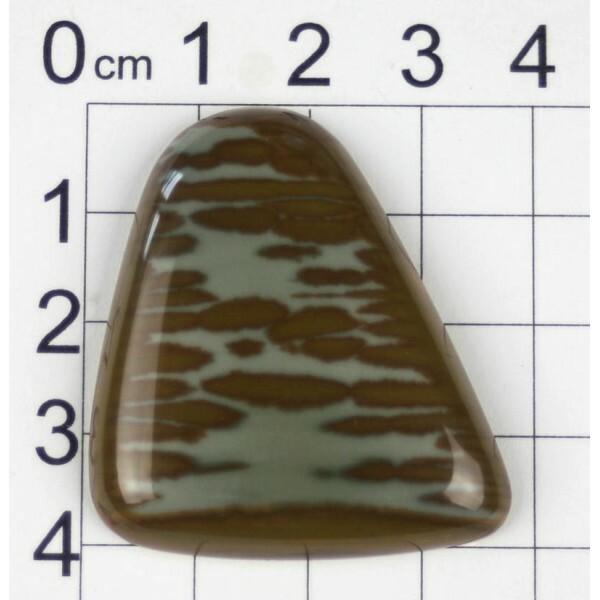 Size is about 41 mm tall by 38 mm wide by 7 mm thick.